You are receiving this e-newsletter because of your previous association with Realising Ambition, SJ Associates Ltd or Campbell Black. You may unsubscribe at any time. "Attitude is a little thing that makes a huge difference." In this newsletter, we showcase the leadership seminars we have facilitated, take a closer look at one of the tools we use and showcase the progress of one of our clients, The Outside View, where we undertook a sales effectiveness programme - more realising growth impact from our team. Thanks for reading! We were delighted to run a couple of workshops in Cambridge last month, including a very enjoyable morning with members of theCambridge Network getting involved with the engaging and practical ‘Creating High Performance Teams’ business simulation exercise. It is safe to say it was a little different from the usual breakfast meeting! Andrea Mitchell, Events Delivery at Cambridge Network said: "Thank you all so much for coming along this morning and getting the group so involved. It was great to have something so totally different for a change!". Comments from the participants included "very good, food for thought", "fantastic speakers, really innovating" and "fun way of learning". After hugely successful events in London and Manchester last year, we are once again teaming with Intergence to host the activity based seminar Creating Collaborative and High Performing Teams at Asia House, 63 New Cavendish Street, London, W1G 7LP on Thursday 16 April between 9.30 and 12.30. The event is free and includes refreshments and a buffet lunch. Click here to find out more about how this interactive, practical and challenging business simulation can deliver practical learning and results-driven workplace outcomes. To book for this event or even book a bespoke event for your team, please drop us an email at info@realisingambition or call 07775 684102. Nature illustrates how Earth, Air, Water and Fire work together in synergy. It is hard to imagine life or a sustainable environment without each one of them. Similarly, in human nature, we all have aspects of all four elements. Earth elements are confident in the way they walk and talk. Goals, control, achievement and winning are important. Quick, possibly risky, decisions come easily to them. Air elements are orderly and focused individuals who rely on abilities to think things out. They excel in finding logical solutions and making sense of situations. Air elements listen and plan to ensure accuracy and quality. Water elements are caring and consistent and are important in holding families and teams together. They are loyal and deeply feeling people who show steadfast effort, great patience and a desire for harmony. Fire elements look at the positive side of life, they love to explore possibilities and inspire others to see bright futures. They are good innovators, creative, love variety and have a great sense of fun. Forming part of our development programmes and team events,TetraMap provides a framework for teams to increase sales and revenues, devise a fresh vision, plan strategy and agree key objectives. This proven model transforms team performance by building self-esteem and awareness and delivering a bespoke, shared framework and approach for the way your people think. Structured training tools improve communication and strengthen unity and effectiveness in teams - lifting sales and service performance. By highlighting the different aspects of nature within the members of your team, we can help develop productive relationships, clarify priorities and adopt an innovative approach to tasks for the best results. For more information and to discuss how TetraMap can help you and your team realise their potential please contact Stephen. Data is everywhere. From your website analytics to what you buy on your weekly shop. And with the help of all this data, sales and marketing processes have been transformed. The scatter-gun approach of mindlessly pushing your product to all and sundry has taken a back seat to the science of segmentation and analytic prediction. Don’t just do more, do better. Predicting how your potential customers are going to behave is the holy grail of sales and marketing and one company taking full advantage of this philosophy is The Outside Viewwho are set to revolutionise the world of the Estate Agent, focusing on probability rather than opportunity by predicting how likely the target customer is to actually move. Marketeers in all walks of commerce will be nodding along to this sentiment. Realising Ambition brings together Simon Jones and Stephen Pauley, both with significant practical knowledge of running teams and businesses and challenging people to perform outside their limits. What will get the best out of you and your team? Find out with our diagnostic tool. Copyright © 2015 Realising Ambition (UK) Limited, All rights reserved. 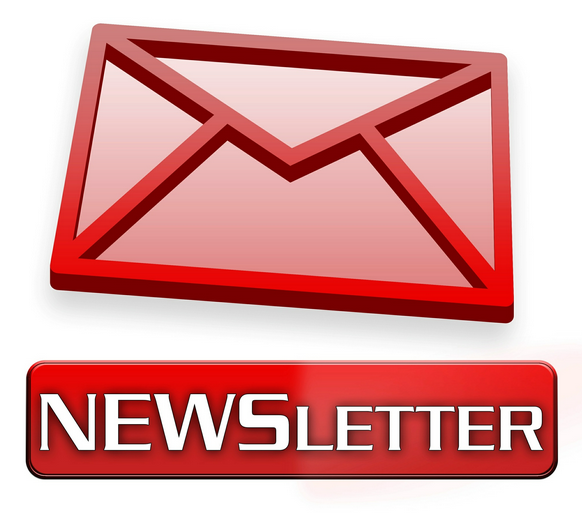 You are receiving this newsletter as you have subscribed at our website or we have worked together. While organizing fun team building activities for work, you need to make a genuine effort to make these activities successful for your company. For the people taking part in these activities, keep in mind that it is all for your own advantage.